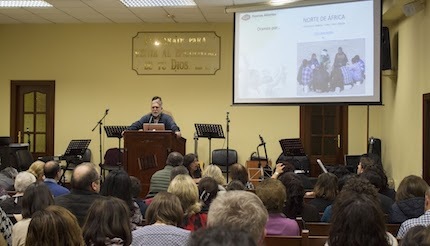 Around 1800 people from 160 churches gathered throughout Spain to pray for the persecution of Christians. “There are no closed borders, prisons or doors when we pray”. Thousands of evangelicals from Spain participated in the 9th Gathering of Prayer for the Persecuted Church, which gathered people from different contexts and places with one goal: to pray for those who are persecuted because of their Christian faith. 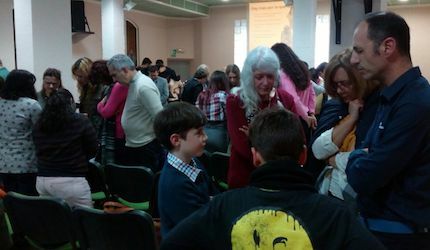 According to Open Doors Spain, the entity that has organized these meetings for nine years, around 1800 people, from 160 churches, have participated in meetings convened in 33 cities in 30 provinces of Spain. Pau Amat, one of the spokesmen of Puertas Abiertas, told Protestante Digital that, although the attendance “has been somewhat lower than last year", the response to a "renewed format of the meeting has been remarkable”. Amat pointed out that “we wanted to have a renewed format, using more audiovisual resources to explain the situation of Christians in different countries and regions”. “We wanted to highlight the importance of this Open Doors prayer call, which we place within the framework of the International Day of Prayer promoted by the World Evangelical Alliance, using the symbolism of borders or, rather, the absence of borders, when praying”, he added. The inspiration for this idea came from Brother Andrew, the founder of Open Doors more than 60 years ago. “There are no closed borders, prisons or doors when we pray”, said the passionate evangelist who crossed the Eastern European Iron Curtain to bring Bibles. “As a participant and moderator of the event in Seville, I have been able to notice how this tour and the information that we have included through the audiovisual resources has given a special sensitivity to the people at the moment of prayer”, Amat added. The movement of prayer for the persecuted church was part of the celebration of the International Day of Prayer for the Persecuted Church (IDOP) organized by the World Evangelical Alliance, on Sundays 12 and 19 November. “We know that the churches have hundreds of interesting conferences and we cannot attend and participate in all of them. But, while in conferences we speak and listen others, the prayer gathering for the Persecuted Church is about talking face to face with God and crying out to Him to take care of our brothers”, Amat said. The spokesman of Puertas Abiertas believes “we have to be aware that they are brothers and sisters in the faith, who are asking us to pray for them”.